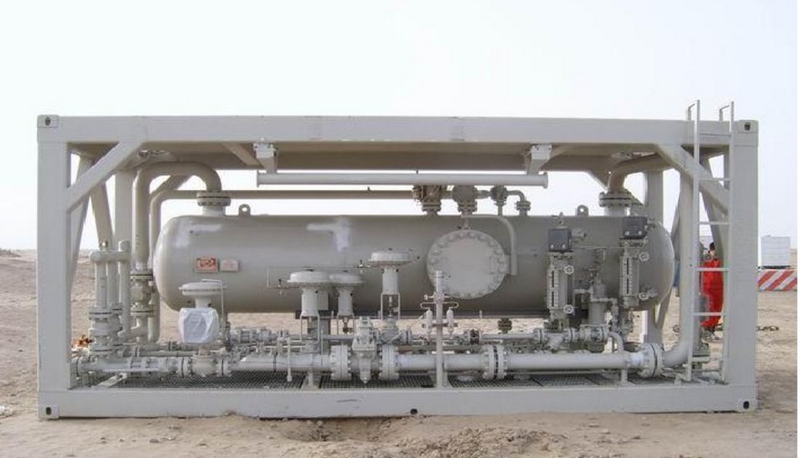 3(Three) phase separator&4(Four) phase separator is very important equipment and widely used for surface well testing and frac flowback operations. 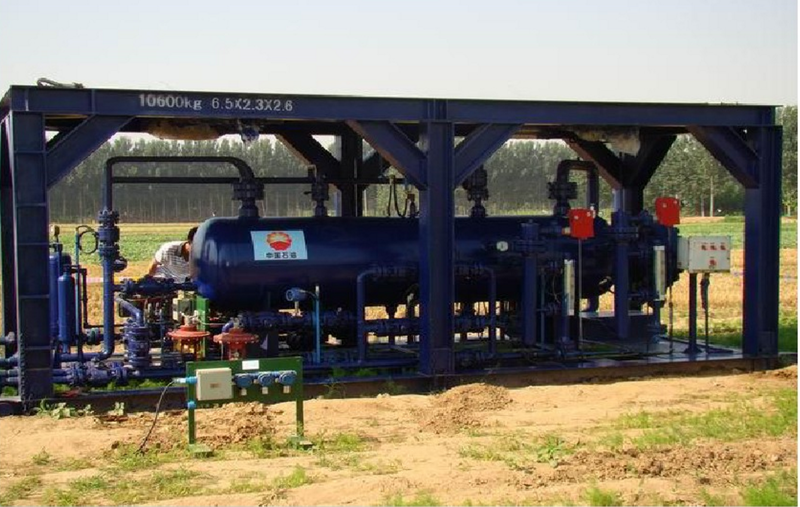 It can efficiently separate well effluent into two or three phases (oil/gas/water) for fluid metering and sampling before disposal. It is a vessel that separates the well fluids into gas and two types of liquids: oil and water. A three-phase separator can be horizontal, vertical or spherical. This type of separator is also commonly called as a (FWKO) separator free-water knockout because its main use is to remove any free water that can cause problems such as corrosion and formation of hydrates or tight emulsions, which are difficult to break. The separator is usually equipped with a large volume tank as well as piping that regulates and channels well fluids. Safety devices are installed to prevent over pressuring of the equipment. 3(Three) phase separator&4(Four) phase separator provided by CCSC Technology are designed in accordance with ASME VIII Division 1 and ASME B31.3 and improved from Expro and Schlumberger well test 3(Three) phase separators. We CCSC Technology are dedicated to improving efficiency and safety in field operations, all kinds of surface well testing 3 and 4 phase separators can be designed and manufactured according to user’s requirements. 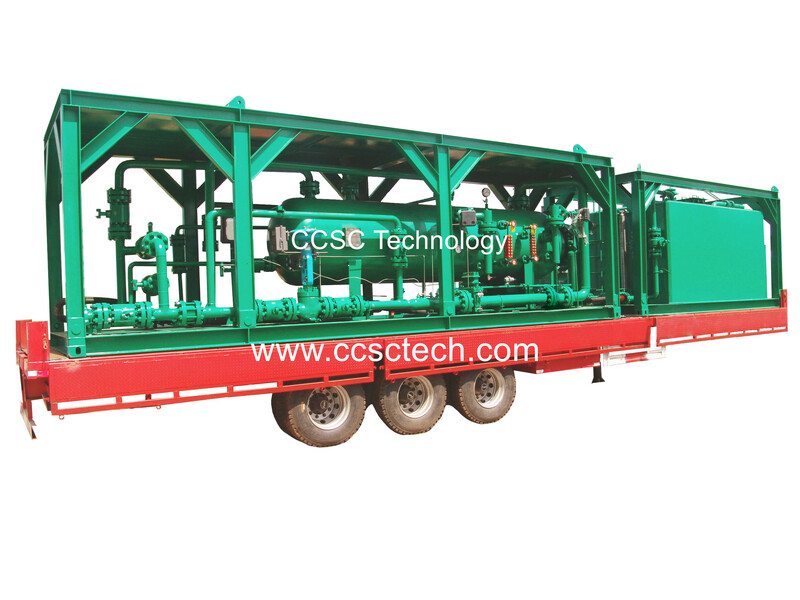 Both skid-mounted and trailer mounted structure are available. CCSC TECHNOLOGY is not an authorized agent or sales representative of EXPRO and Schlumberger.